to effectively meet all client goals and objectives. that provides comprehensive strategic advice, liaison services and advocacy. with planning and implementing Government relations activities across the U.S. and Canada. Our business is knowing your business inside and out. The Prenda Group provides federal representation in Washington, D.C. and has principals who hold well established records of success supporting client efforts with the U.S. Congress and Federal agencies. The Prenda Group possesses the expertise to address today’s challenging environment within the Congress and the Administration. Our extensive legislative and agency contacts in the fields of energy, transportation, shipping, defense, homeland security and the federal government in general, uniquely qualify The Prenda Group to promote policy changes and provide executive and congressional advocacy. 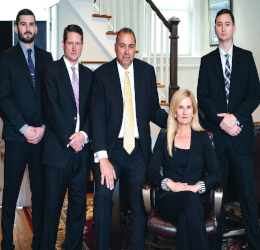 The Prenda Group was created with the vision of delivering hands on, long term, experienced representation to clients around the globe. The Prenda Group’s clients range from Fortune 500 corporations, to start-up companies, to national associations. 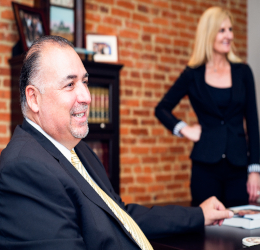 Our small firm makeup enables us to provide highly personalized service structured to each client’s needs, issues and targets. We pride ourselves in providing boots on the ground lobbying with the emphasis on being a key part of your organization’s team.